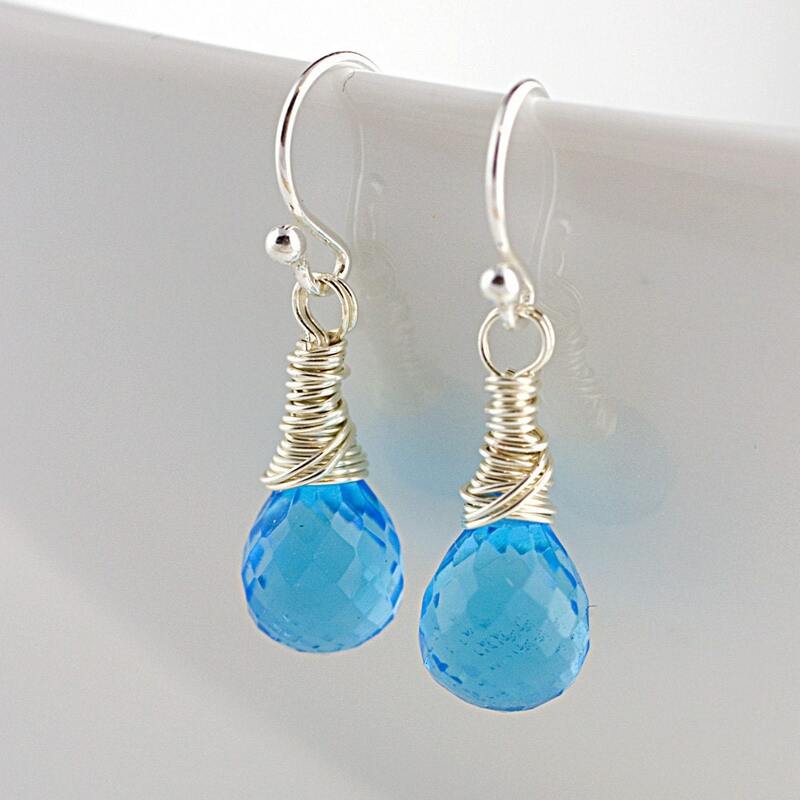 Fat, brilliant blue quartz briolettes are wrapped in sterling silver, and suspended in sterling silver ear wires. 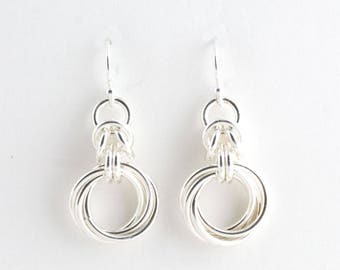 * earrings hang approximately 1 3/16 inches from piercing. Please allow differences in gemstones from the photos, as no two are exactly alike.